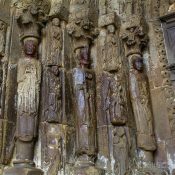 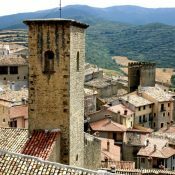 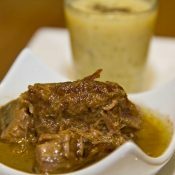 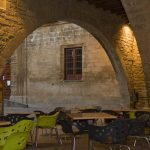 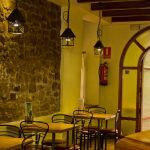 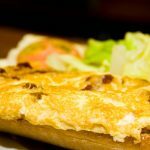 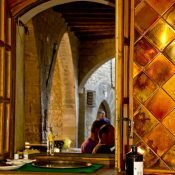 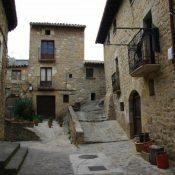 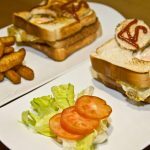 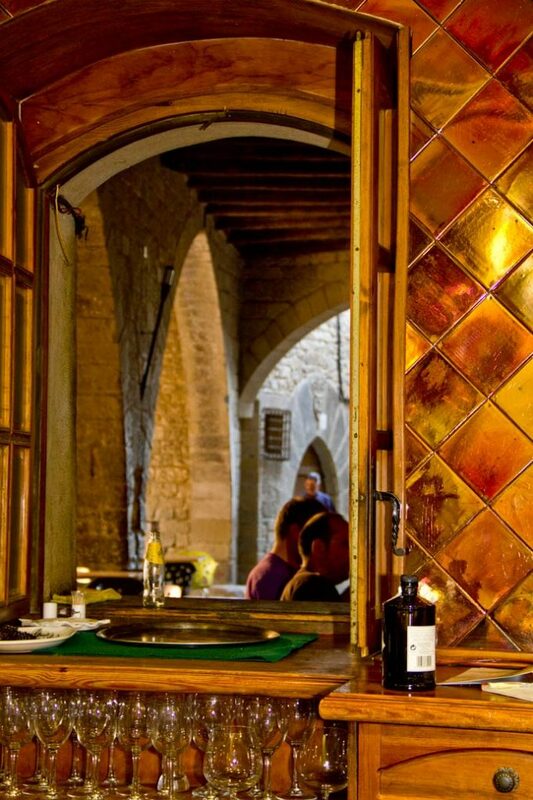 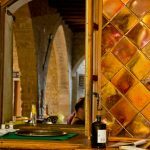 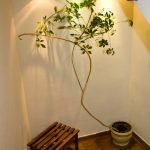 Looking for a good restaurant in Sos del Rey Católico? 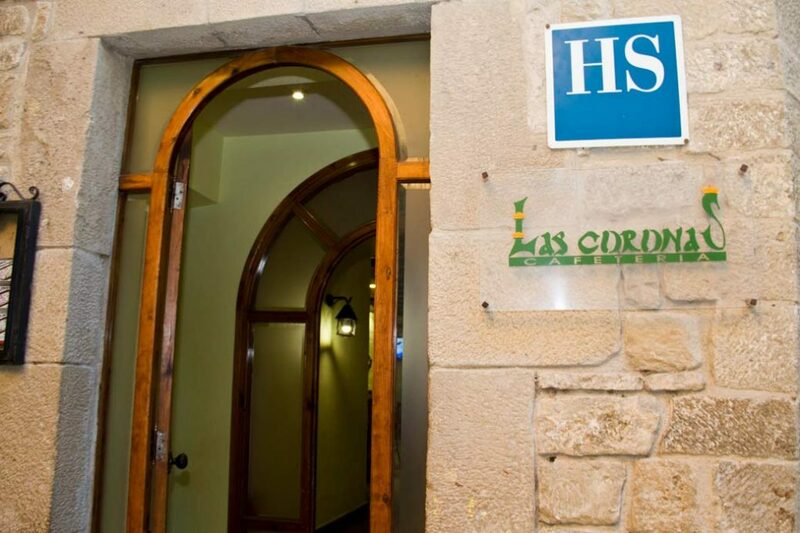 Las Coronas Hotel is located in a unique spot in Sos del Rey Católico (Zaragoza), where you will be able to enjoy a cosy stay and an excellent dining service in our restaurant. 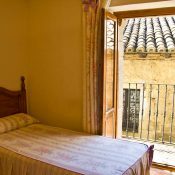 Las Coronas Hotel is located in the old town of Sos del Rey Católico, the perfect place to enjoy some relax and tourism days. 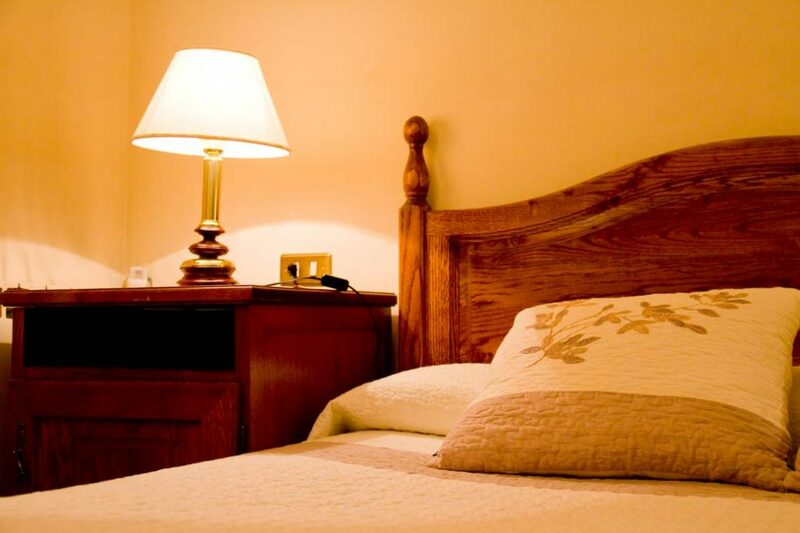 Our unique accommodation will make our guests feel at home in comfortable, well-equipped rooms, a restaurant, a meeting room and an indoor car park. 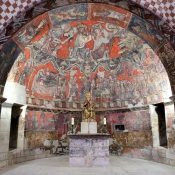 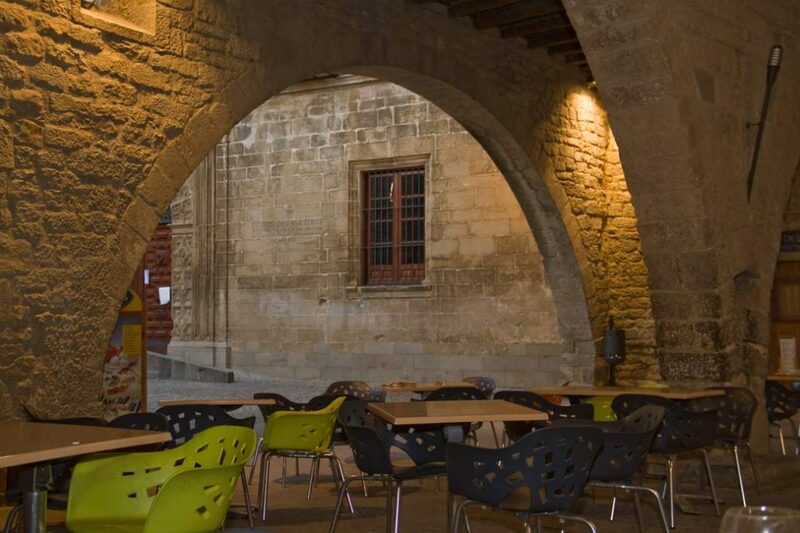 Also, we will provide you information about all you need to know to enjoy tourism in Sos del Rey Católico (Zaragoza) and surroundings: family tourism, hiking routes, cultural activities, sports, etc. 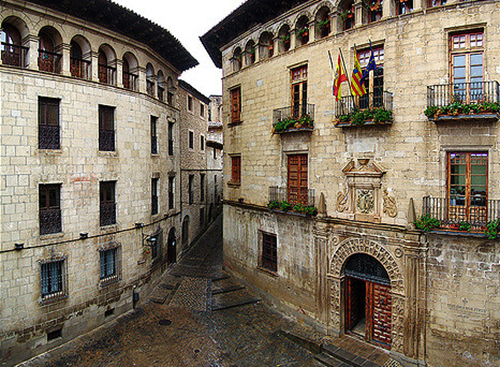 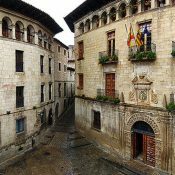 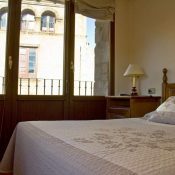 Las Coronas Hotel has 10 unique rooms, each one with the name of a place in our town, such as Iglesia de San Esteban, Lonja Medieval, Portal de Zaragoza, Palacio de Sada, etc. 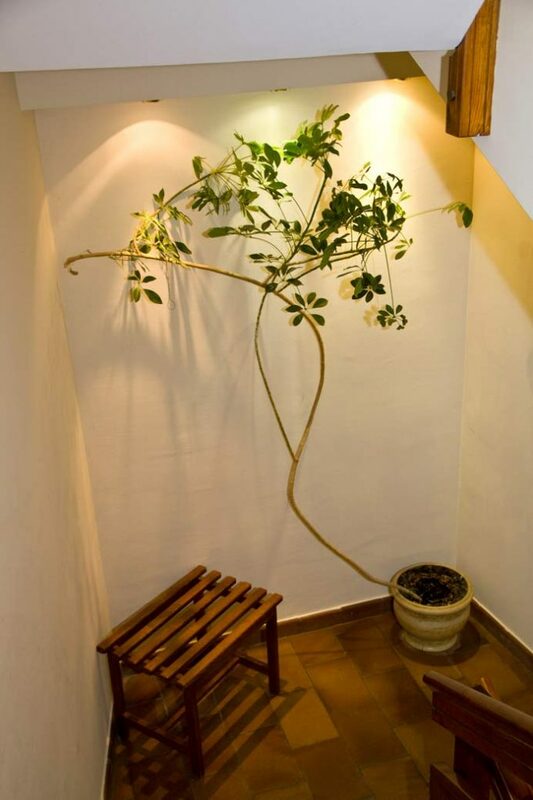 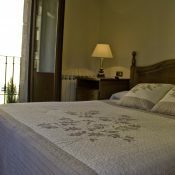 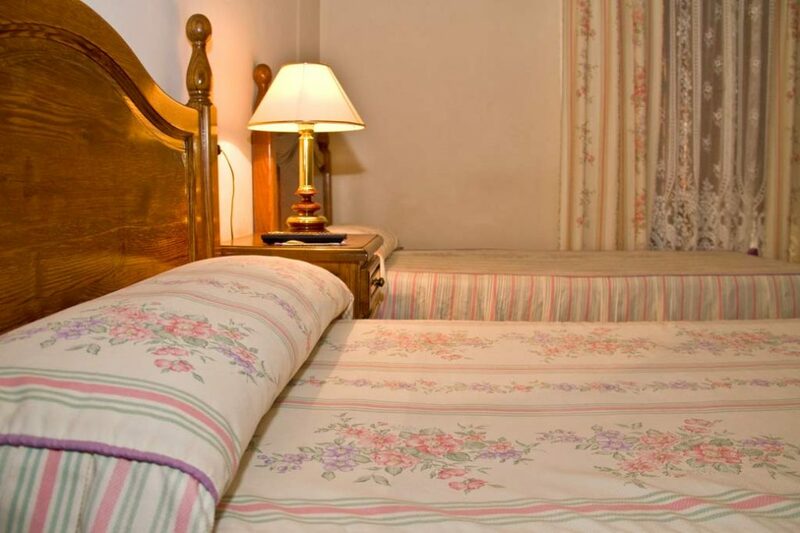 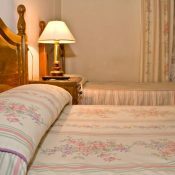 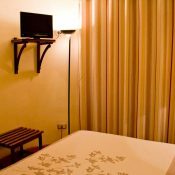 All our rooms are elegantly decorated and double, with 2 single beds or 1 double bed. 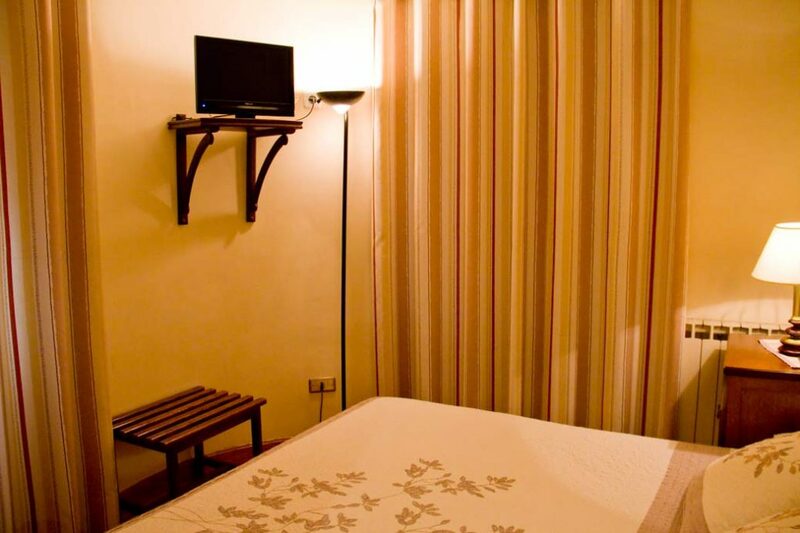 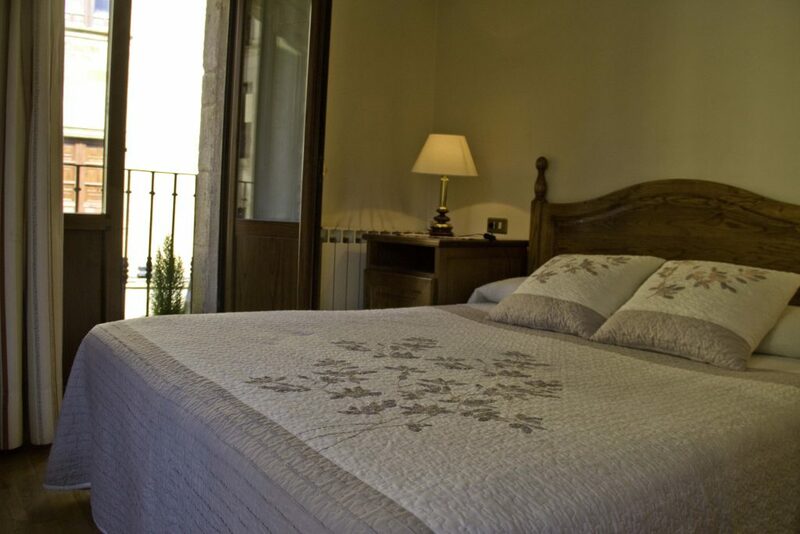 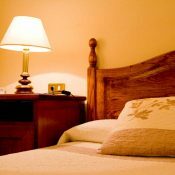 There are extra beds and cots at your disposal, for your comfort during your stay. 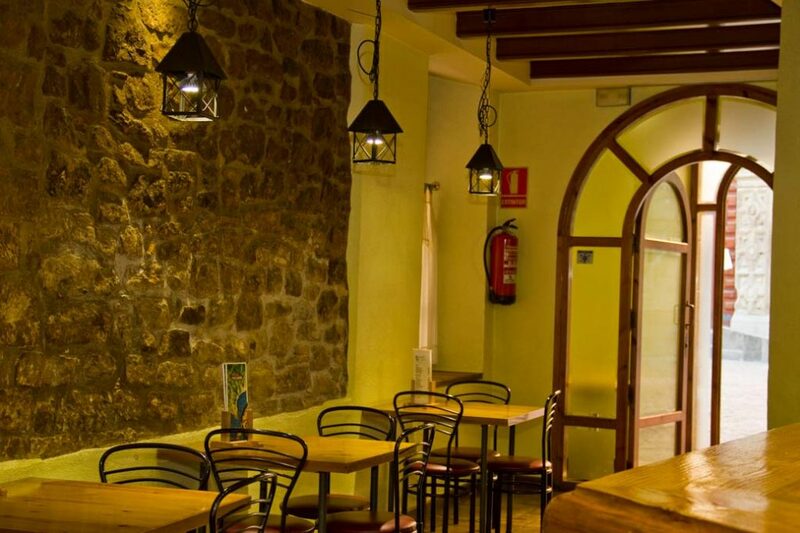 In our restaurant, we prepare traditional cuisine, with quality ingredients and local specialties of this area of Zaragoza (Spain). 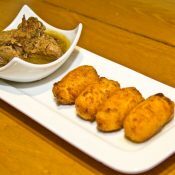 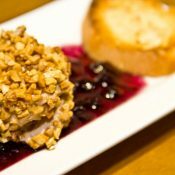 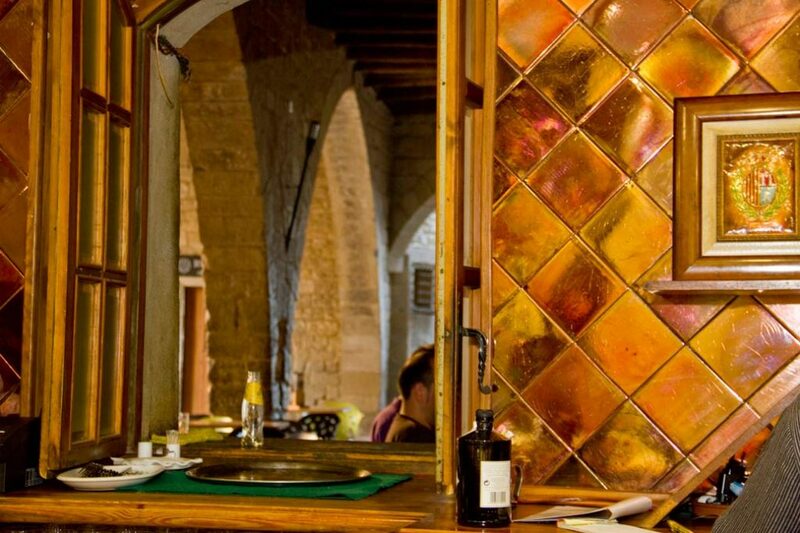 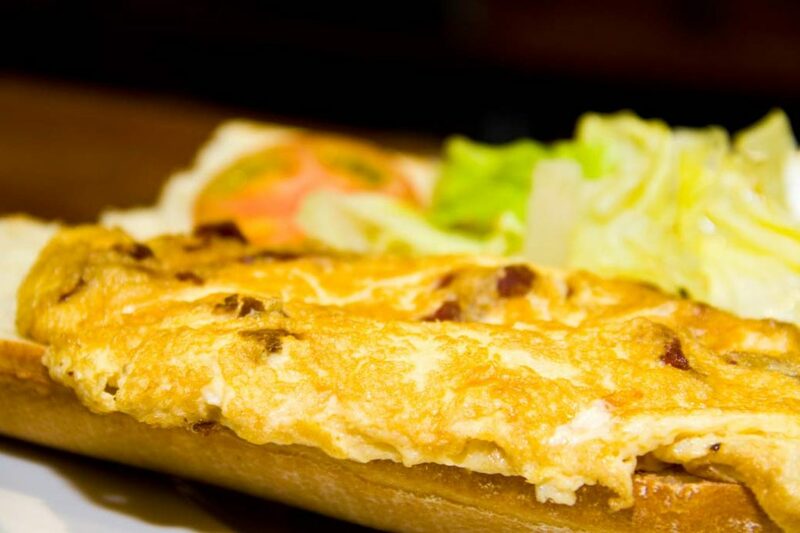 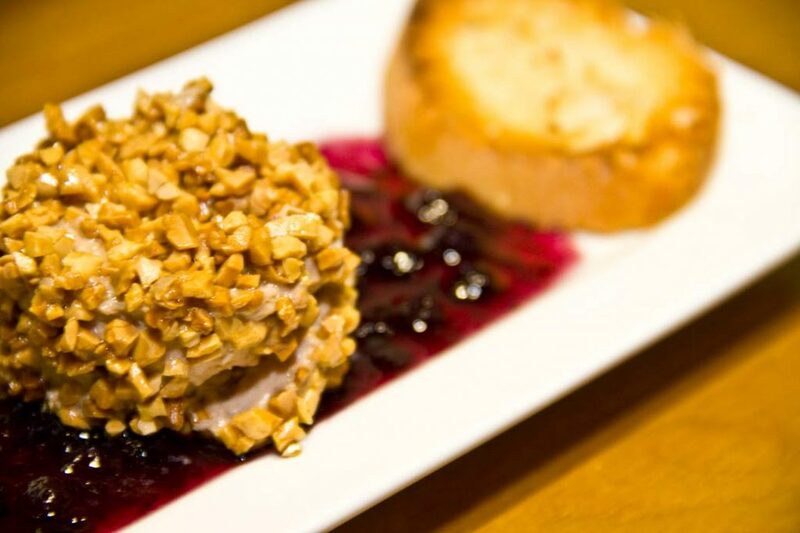 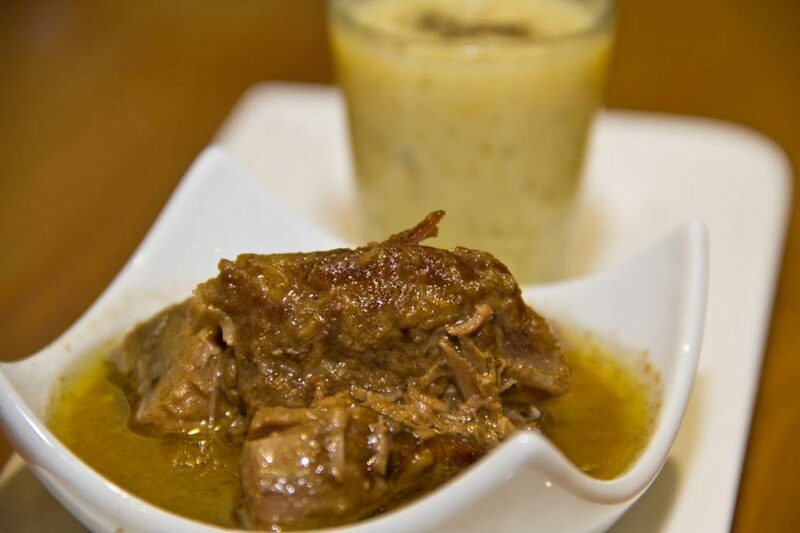 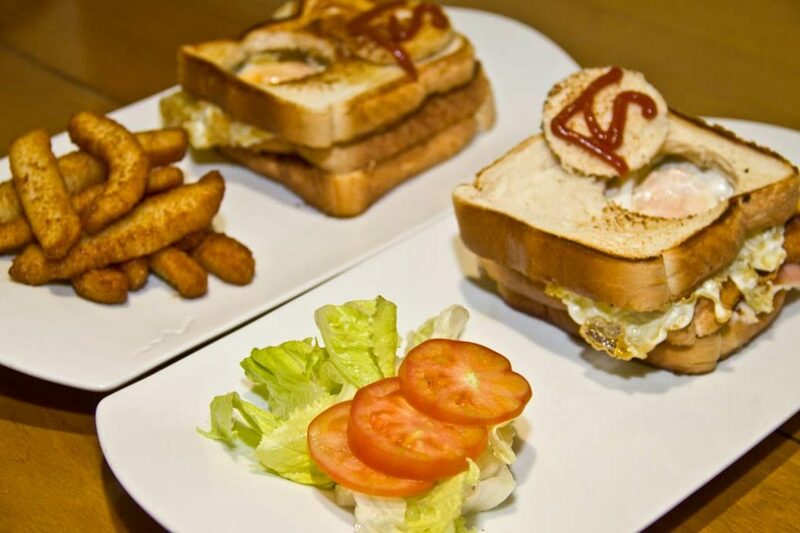 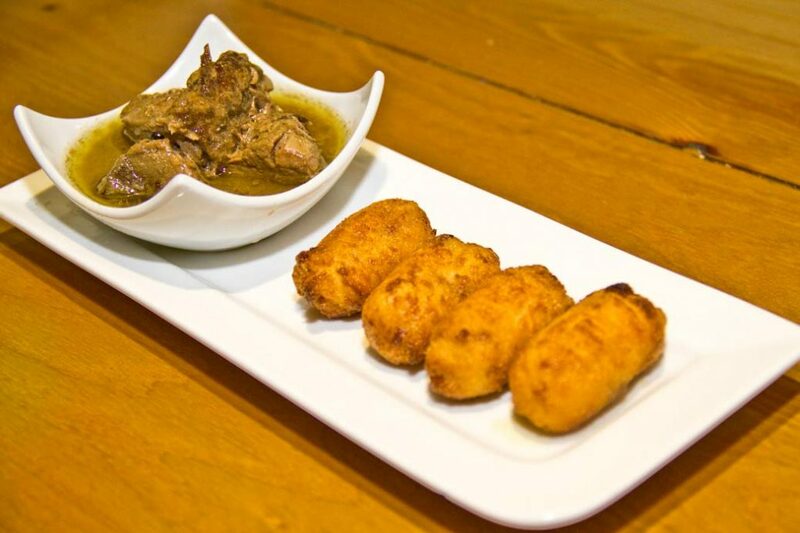 Our homemade cuisine includes a daily menu, lunch, dinner and tapas. 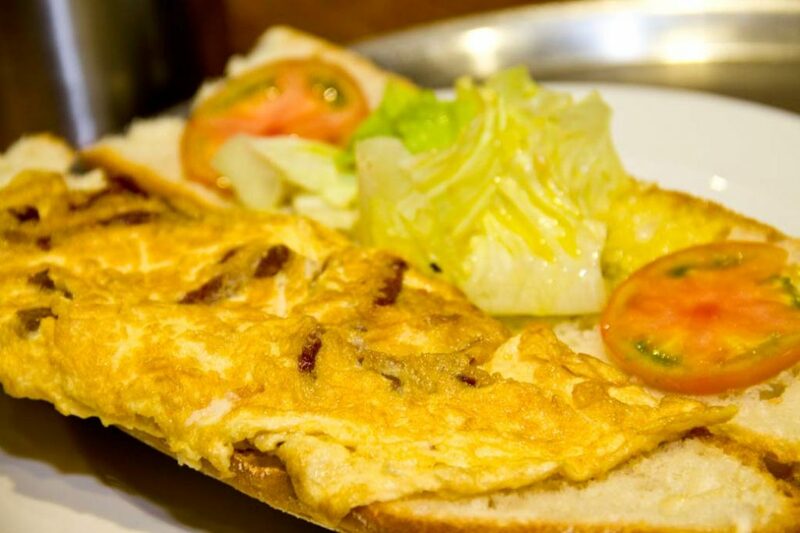 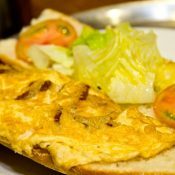 Our breakfasts are plentiful and varied, to start the day full of energy during your stay. 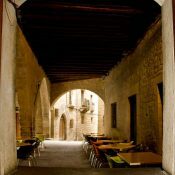 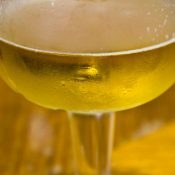 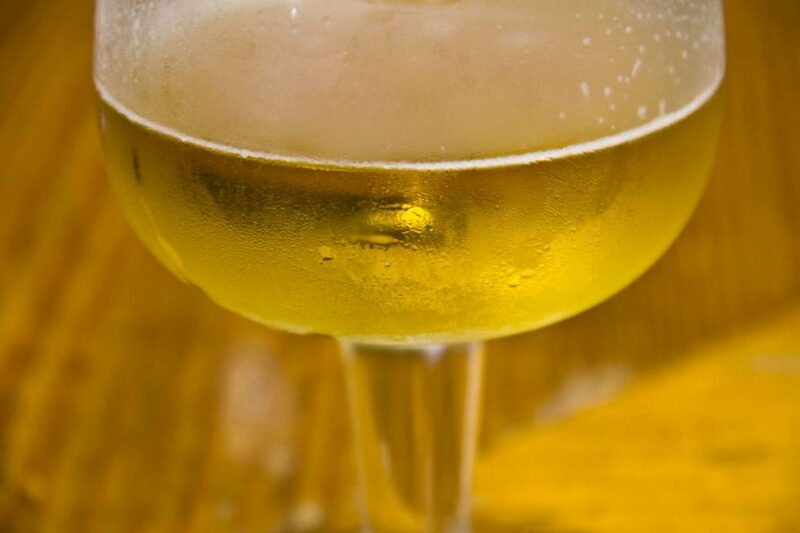 In addition to a restaurant, we also have a bar, and a terrace that is open in summer time. 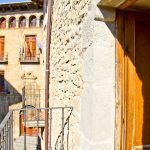 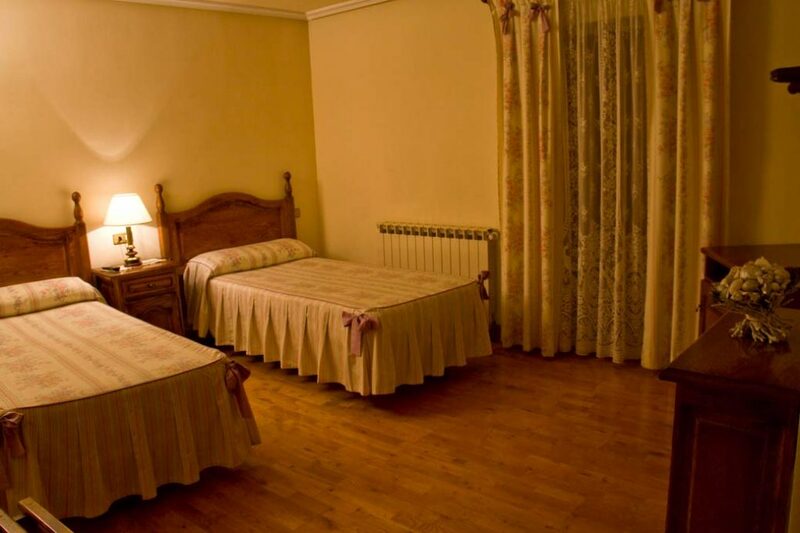 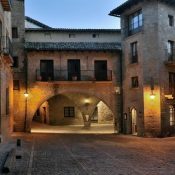 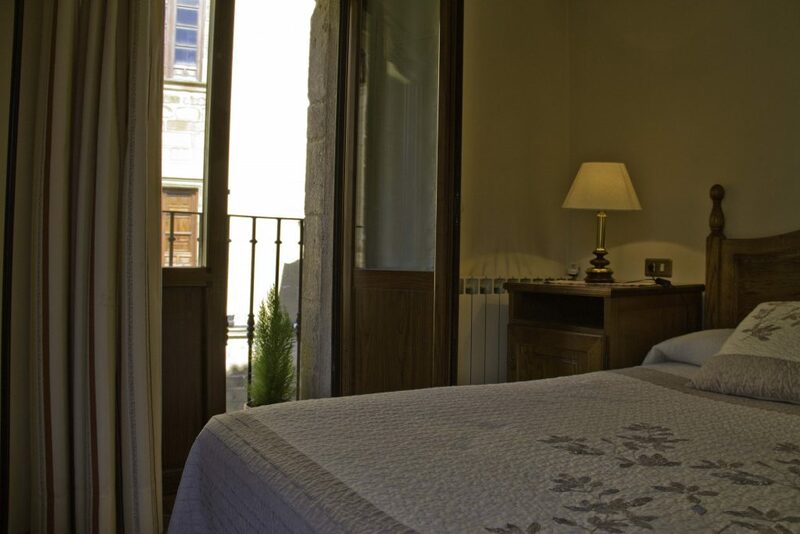 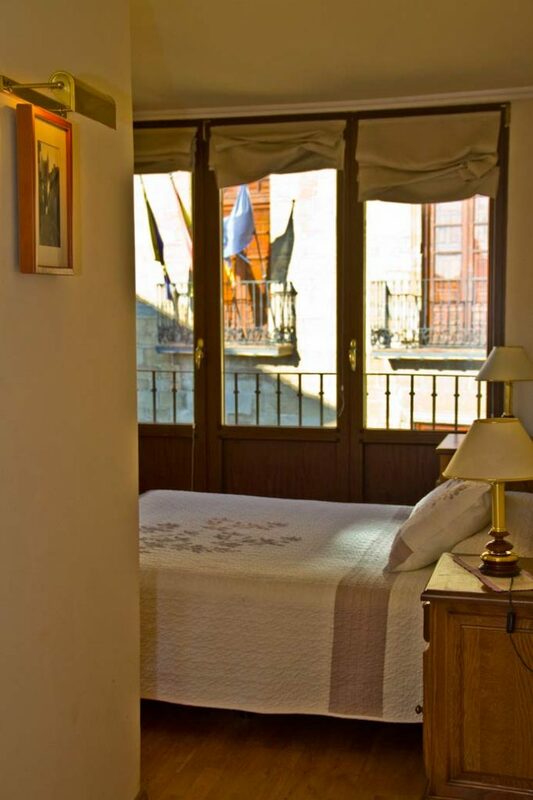 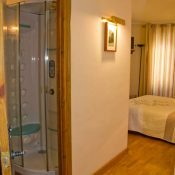 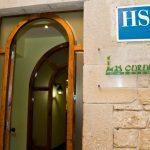 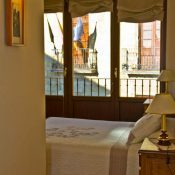 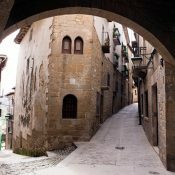 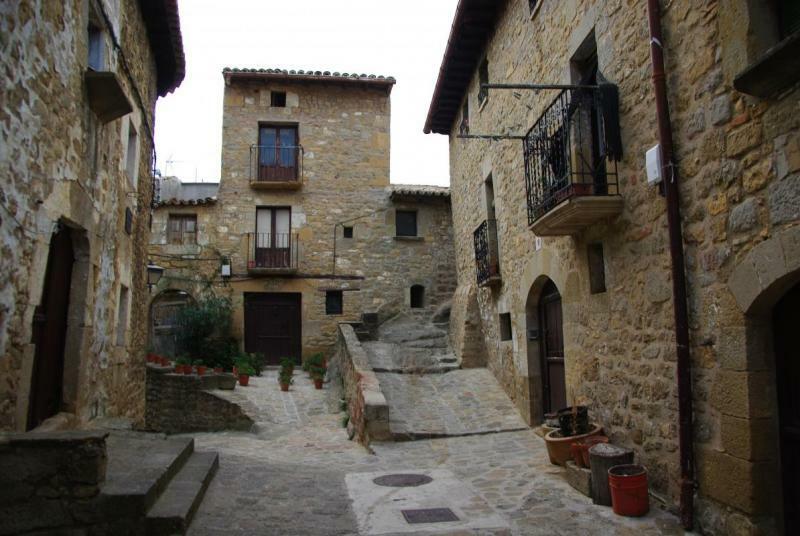 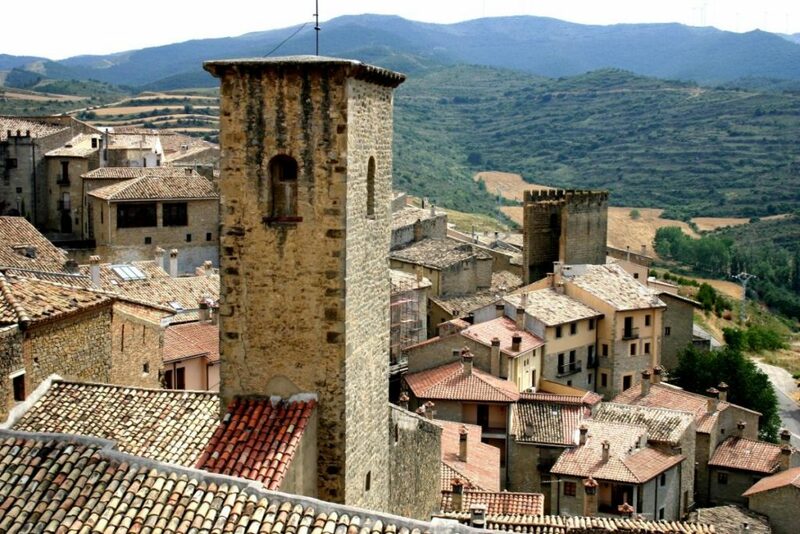 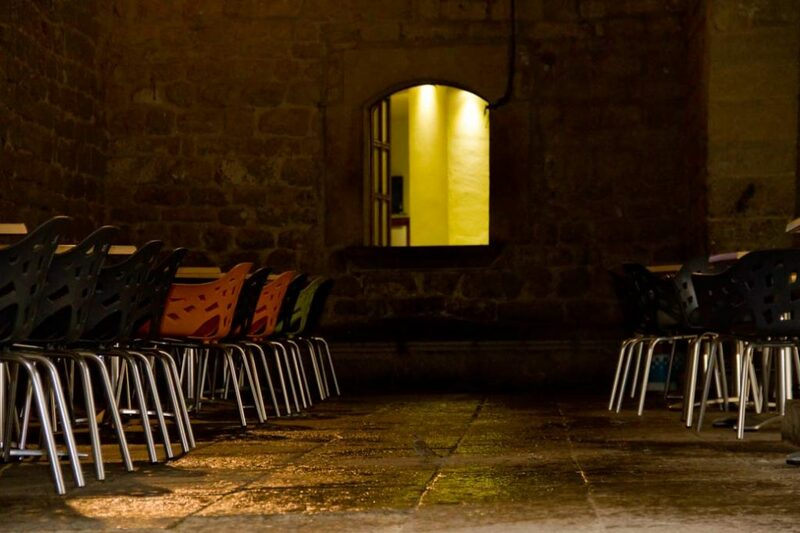 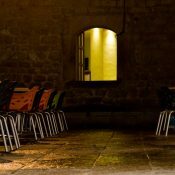 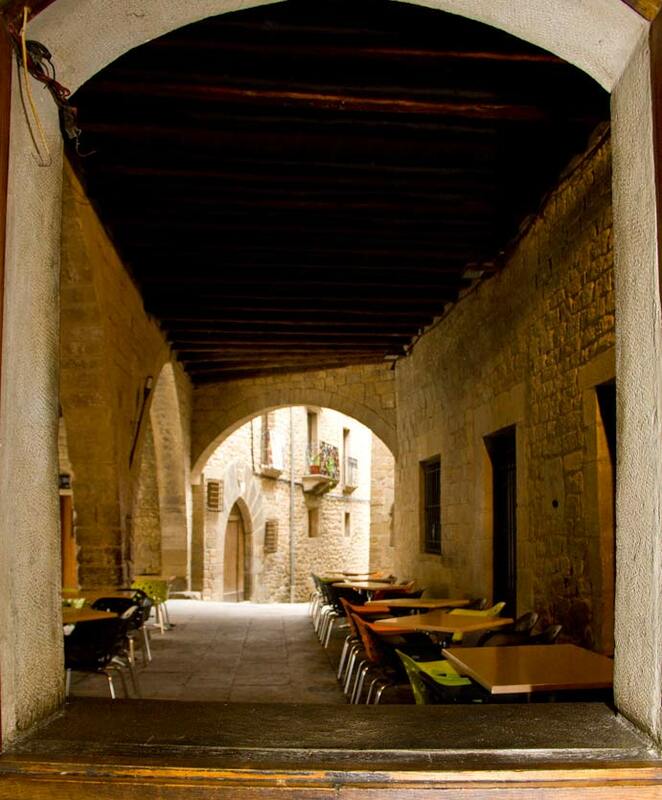 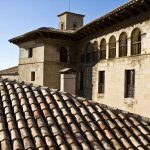 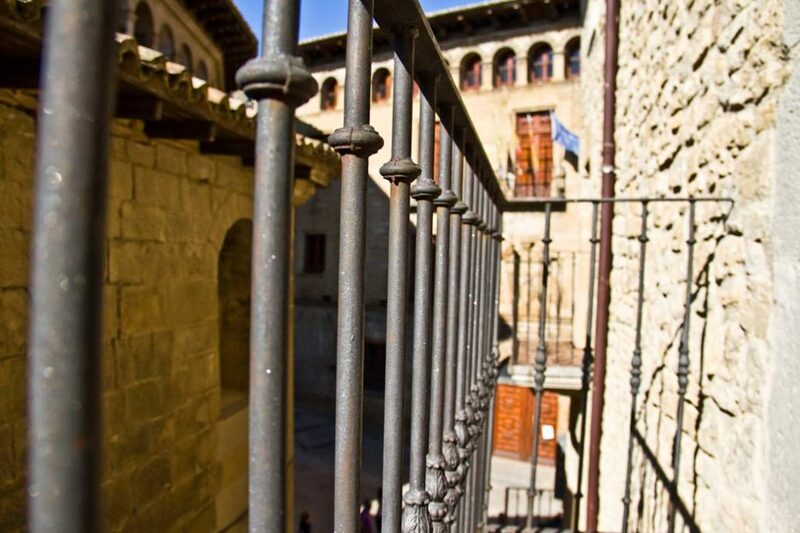 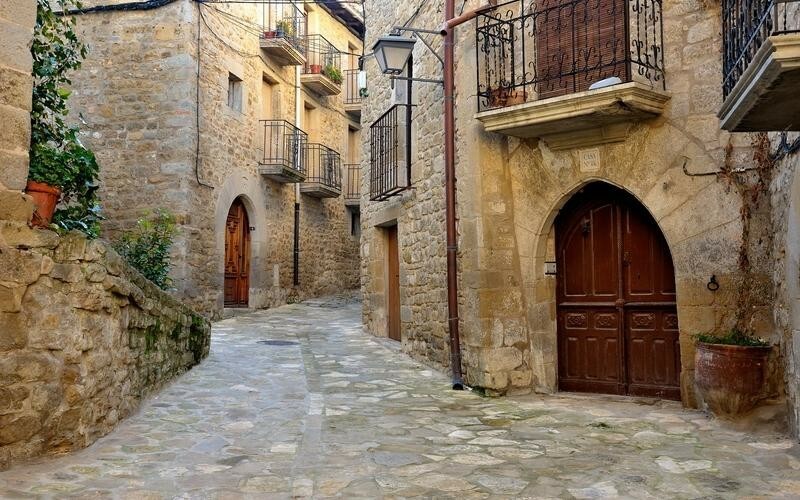 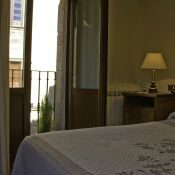 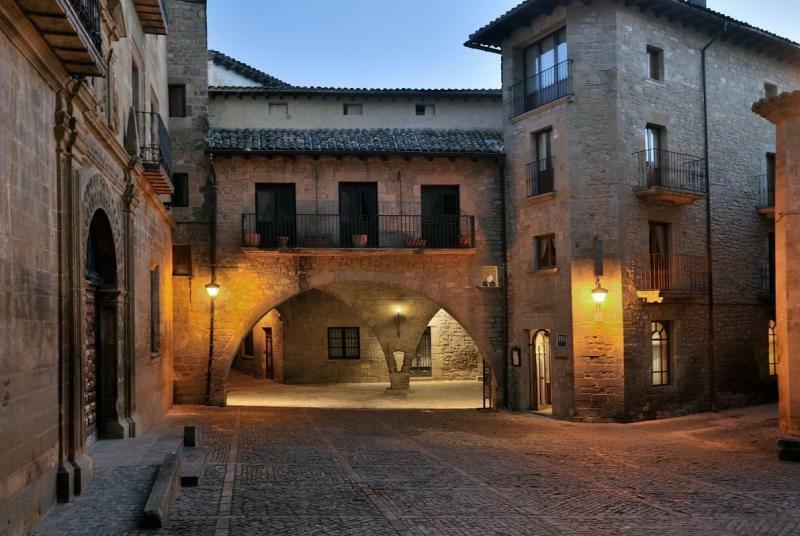 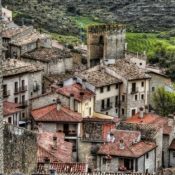 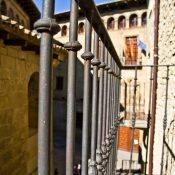 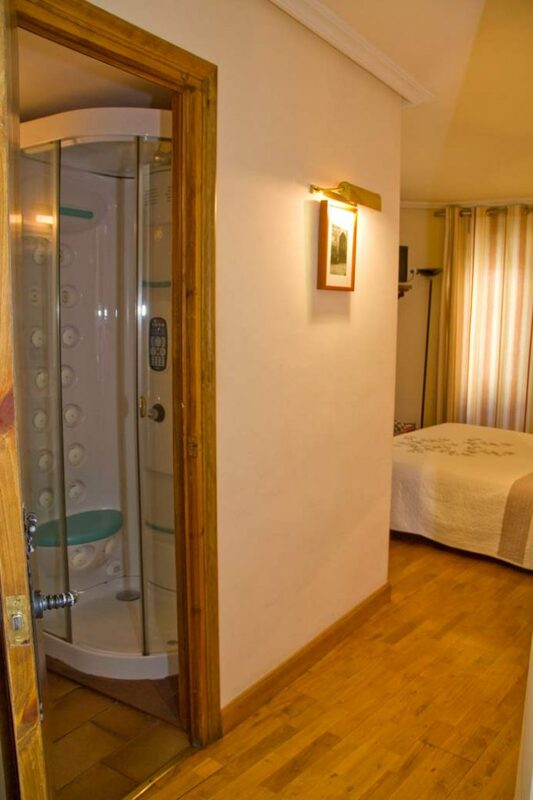 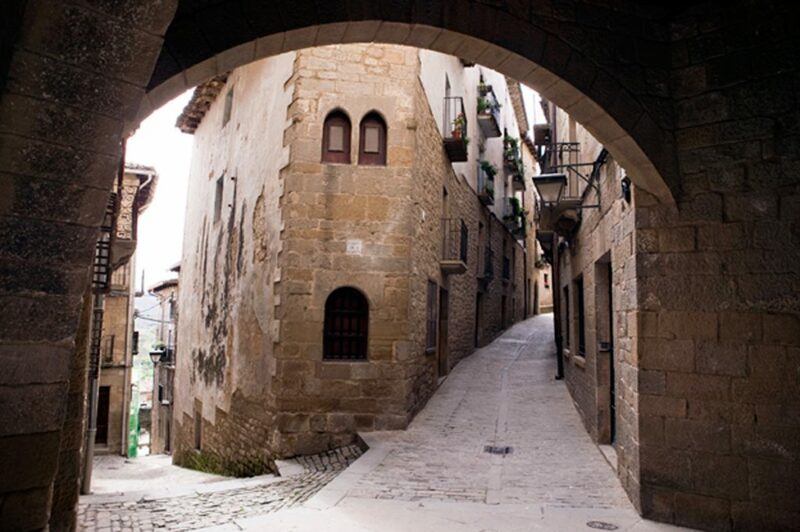 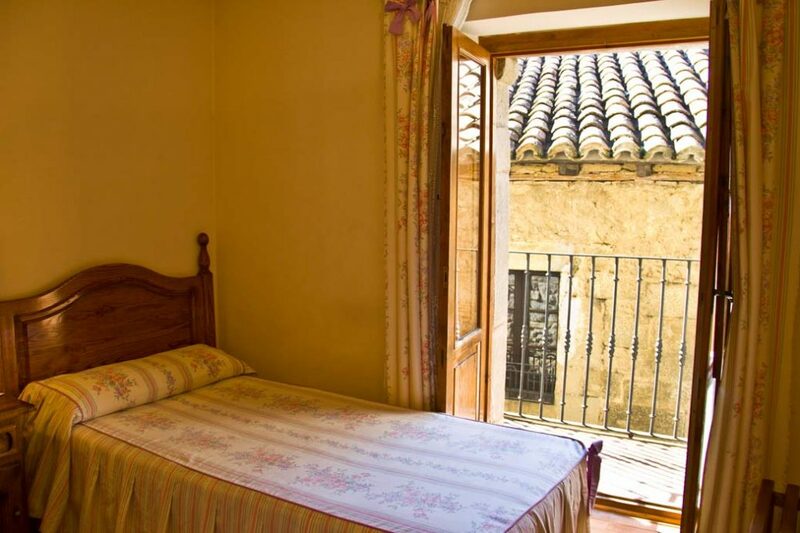 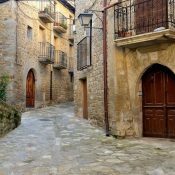 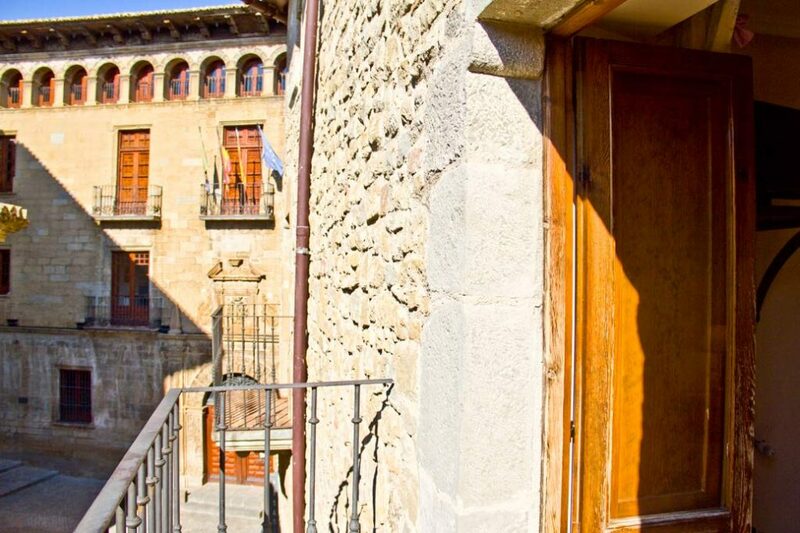 Las Coronas Hotel is a great accommodation to discover the medieval town of Sos del Rey Católico, because of its location in the middle of the old town, 100 metres from the San Esteban Church and the Sada Palace, where King Fernando II was born. 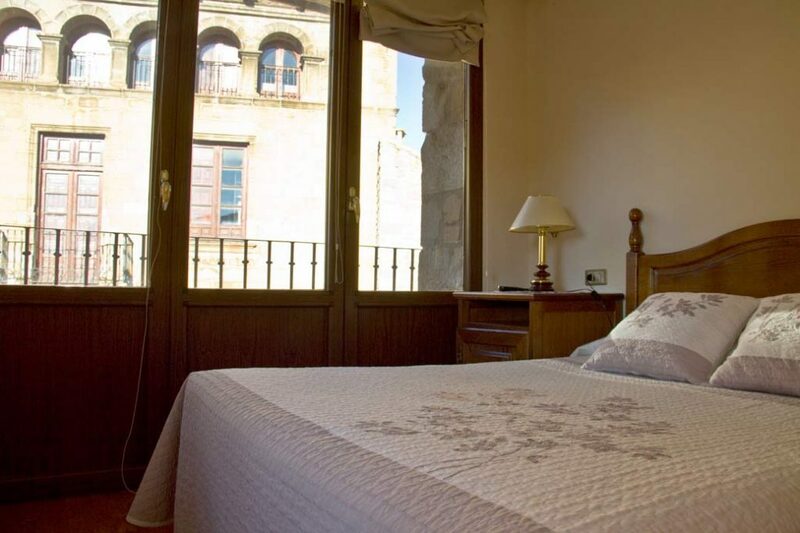 Sos del Rey Católico is located on a high rock; it is a natural fortress and, for this reason, it has had a great relevance throughout history. 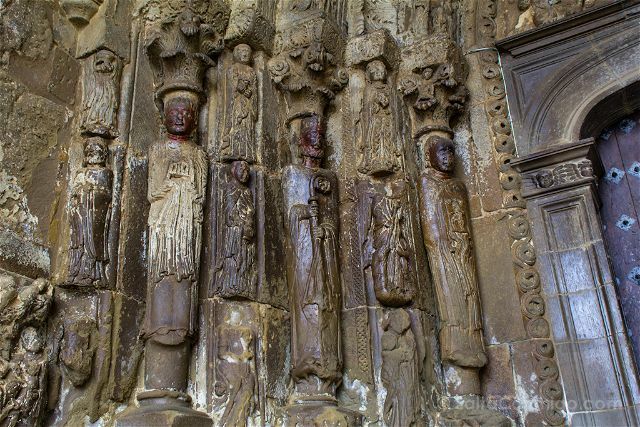 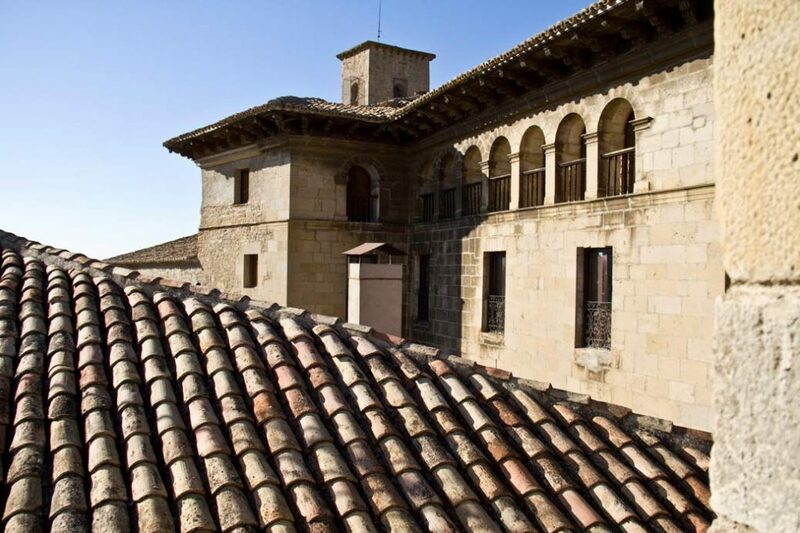 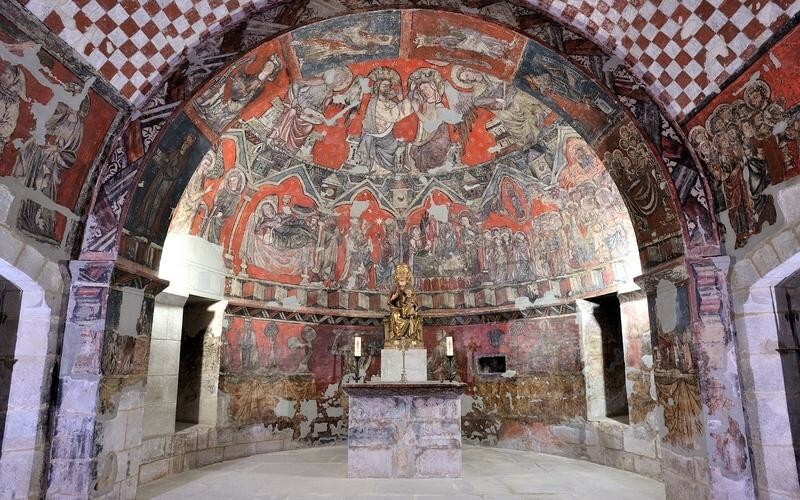 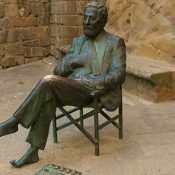 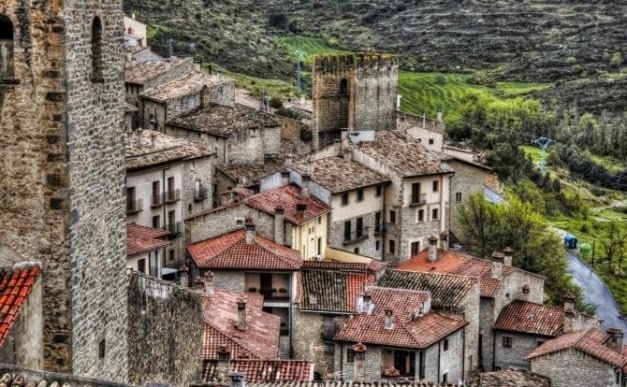 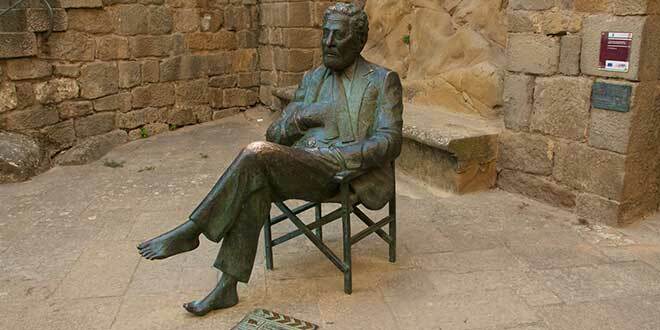 Some of the main points of interest for tourism in Sos del Rey Católico are: the Sada Palace, Peña Feliciana (where the castle is located), the church of San Esteban and its façade, the medieval Jewish quarter, the statue of Berlanga, etc.